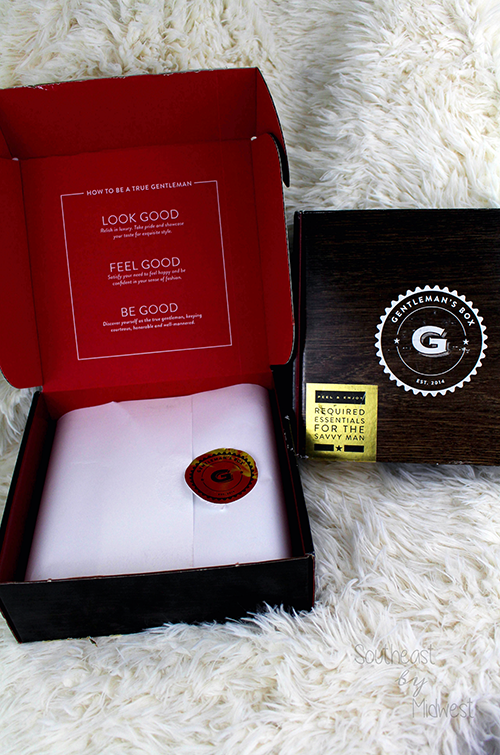 As you can see the Gentleman’s Box arrives in a brown box that is designed to look like woodgrain, the logo is printed on the top, the website is printed on the side, and stuck on the top and wrapped around is a gold sticker that says “Required Essentials for the Savvy Man.” The inside of the Gentleman’s Box is red with a list of “How to Be a True Gentleman.” The contents of that month’s Gentleman’s Box are wrapped in thick tissue paper with a gold Gentleman’s Box sticker keeping it closed. On top is that month’s booklet. 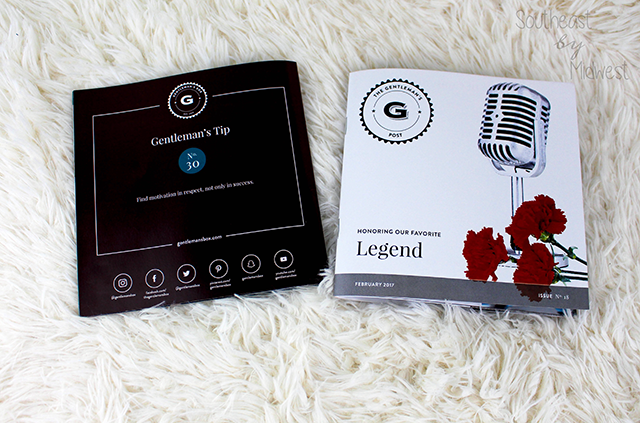 I have to say that the Gentleman’s Box booklets are actually some of my favorite booklets in the subscription box world. The cover tells you what that month’s theme is; January was Ageless Aussie, while February was Legend. Flipping open the cover you get the Table of Contents along with the box value for the month along with a letter from one of the employees of Gentleman’s Box, I like that you get to hear form some of the “lower” level people and not just the CEO every month! From there it continues on like a little magazine; you have information about the products, style inspiration which puts together an outfit using products from that box and previous boxes as well, little articles about eating right or relationships, a #GentlemansChallenge, a Featured Member Q & A, the back cover ends with photos taken from the #GentlemansBox Instagram hashtag, and the outer back cover has a Gentleman’s Tip. All together pretty snazzy in my opinion. 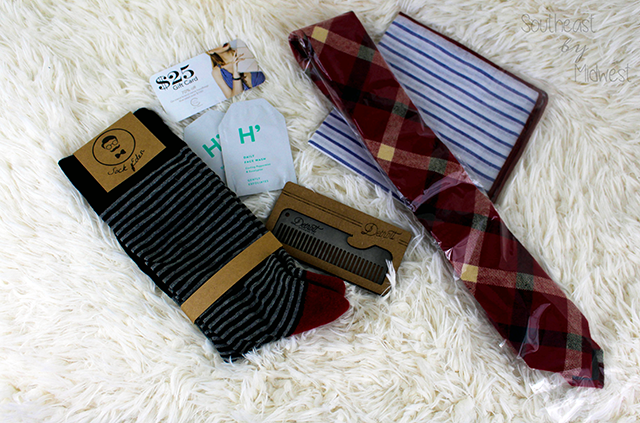 The January Gentleman’s Box came with 5 items. 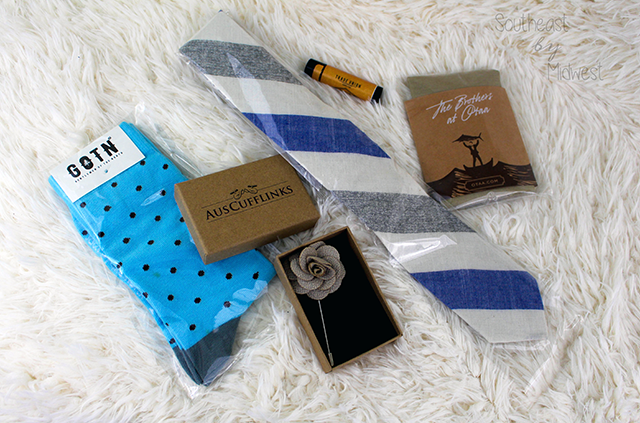 The items included were a tie, a pocket square, a pair of socks, a lapel pin, and a lip balm. The tie is a navy, cream, and gray 100% cotton tie from the brand Aster Ganos and is a Gentleman’s Box exclusive design with a value of $39.00. The pocket square is a khaki woven soft linen pocket square from the brand OTAA with a retail value of $10.00. The socks are light blue with navy blue accents from the brand Gentleman of the North and part of the “Soul of the North Line” and have a retail value of $15.00. The lapel pin is a beige flower lapel pin from the brand AusCufflinks with a value of $15.00. Lastly, the lip balm is an all-natural lip balm made with natural butter and oils mixed with beeswax and then infused with camphor and peppermint essential oils, it is from the brand Trade Union Supply Co. and has a retail value of $8.00. The February Gentleman’s Box came with five items as well. 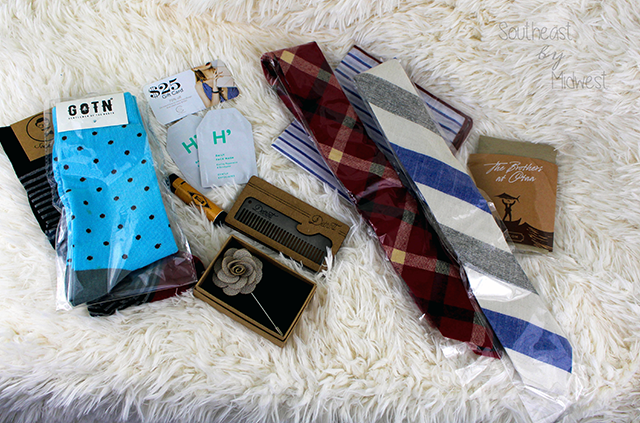 The items included were a tie, pocket square, a pair of socks, a comb, a face wash sample, and a $25 off gift card. The tie is a 100% cotton and red with beige and navy accents, it is from the brand Gentleman Essentials and has a retail value of $29.00. The pocket square also comes from the brand Gentleman Essentials and has a retail value of $19.00, it is cotton and is designed to match the Pantone main color of the tie. The socks have a navy and gray striped design with red accent and are designed with memory cotton to contour to the feet, they are from the brand Sock Eden and have a retail value of $15.00. The comb is part comb and part bottle opener from the Detroit Grooming Co. with a $25.00 retail value. The face wash sample was two foil packets, you know how I hate those!, of Harry’s Face Wash that contains volcanic rock to exfoliate and eucalyptus and peppermint leaves to refresh the face. I’m not counting the card as part of the box due to the fact that it’s $25 off a value purchase meaning I’d have to spend more than the $25 to use it. Overall the Hubs really enjoyed both of these boxes. He liked that the clothing items complimented each other but could also be used separately if one wished. This also brings up the next thing that he liked, the fact that each item is individually wrapped. He liked this because if, for example, he didn’t have a use for the comb it is packaged in a way that he could gift it to a friend who could. The Hubs doesn’t have my aversion to foil packets so he really enjoyed the fact that there was a face wash sample in the February box but I do think that the comb is actually his favorite item from both boxes just due to how good of quality it is. 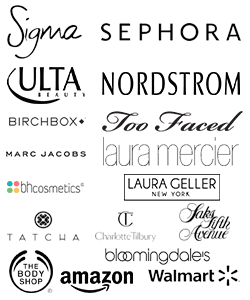 The January box has a value of $87.00 while the February box had a value of $88.00, not counting the card and the foil packets, and for the subscription price of $25.00 that’s not bad! I would have to say that my recommendation is that if you have a boyfriend, spouse, significant other, college age kid, etc. that needs items like this then it’s a box that you should for sure subscribe to. However, if the man in your life isn’t that into ties, pocket squares, and men’s lifestyle items then it’s a skip. Collective Haul feat. 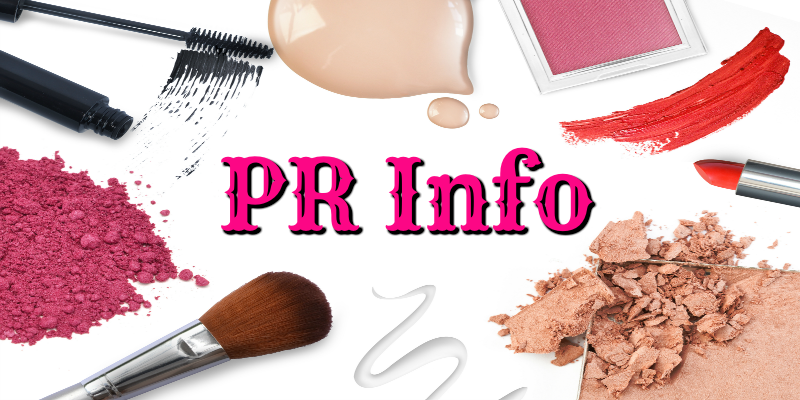 Ulta, Sephora, GlamGlow, Walmart, Target, and more! 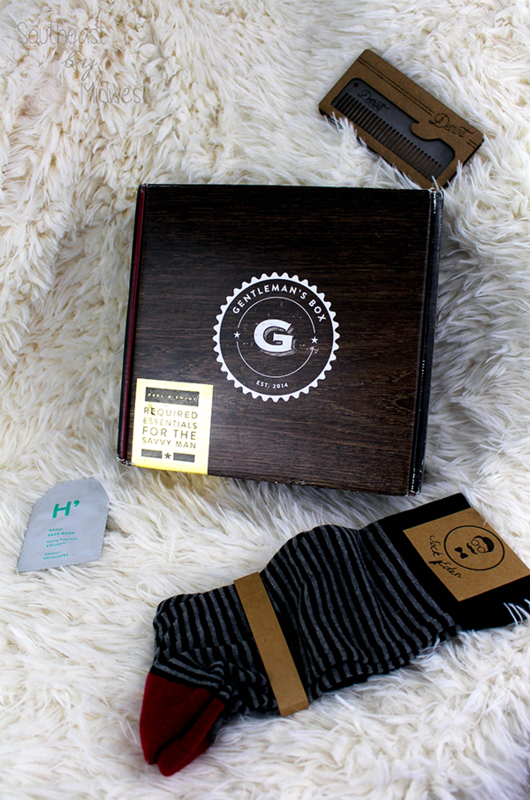 This is a really cool subscription box for guys. It is perfect for people who are in the business or legal field. That looks like a great box. I know my husband would love it. They have some really sharp looking items in there. 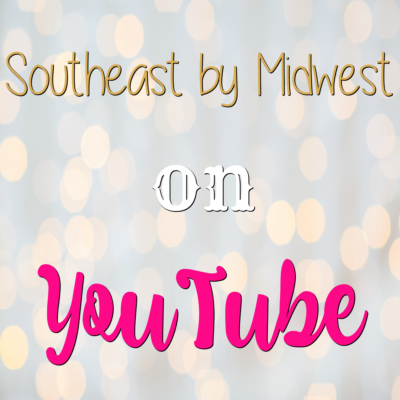 I love the concept of this subscription box! I am not sure how much my blue collar husband would use the goodies inside, but it may be a great way to encourage him to dress up more often. This looks like a fantastic box. I know a few people who would really enjoy this. It’s great that your husband ended up enjoying his boxes. It sounds like they do a good job picking out useful accessories and products. What a cool box of goodies for guys. This would be great for Father’s Day. That would be a great idea for my Brother in law, he travels a lot for work and has a job that requires dressing up. He loves to wear fun socks though. He has a birthday coming up so this is perfect. I’d get this for my husband or my brother. Gives guys to mis things up and have fun! this is a nice box! ive got an idea now what to get a gift for my hubby for he=is promotion! That looks like a really great comb. I’m not sure my husband has enough hair left to bother with it though…haha. The Gentleman’s Box looks like a great gift idea. I like the product and theme switches. I love a good man box! I never heard of it but it looks so nice and jazzy for men who want to play up on their upscale attire. I truly loved the ties and socks and I showed my husband who never likes anything and he wanted to get this! Great value too. This is such a cool gift idea. I know someone who loves those once a month mystery box things. This is a really unique box. It is about time they got one for the guys out there! ID love to rev that for my husband. He’s also finishing some school, so updating his wardrobe is needed. Yay for another husband finishing school! This would be amazing for him.